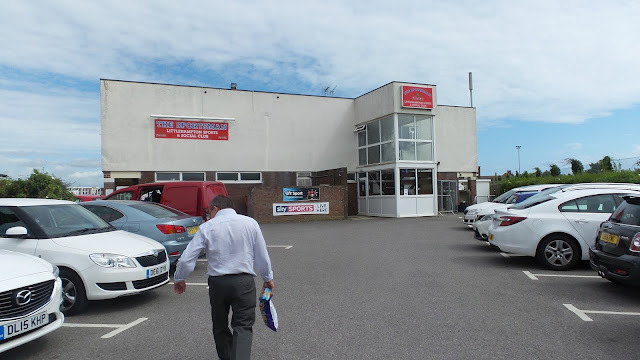 The club was founded in 1896 and was originally known as Littlehampton. 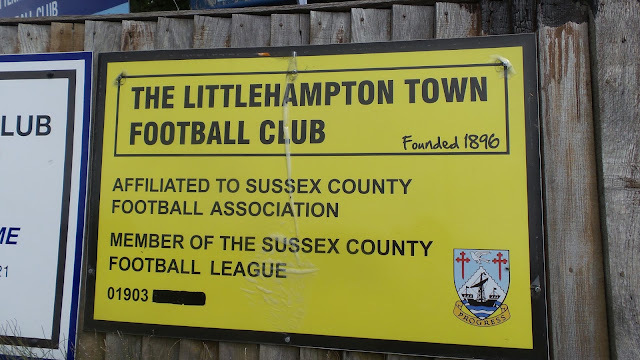 They changed their name to Littlehampton Town in 1938 but have spent the entirety of their history in the Sussex League, albeit one that has changed its name to the Southern Combination in the last couple of years. Up until 1952 they participated in a singular division, with their best ever finish being runners-up in 1947. 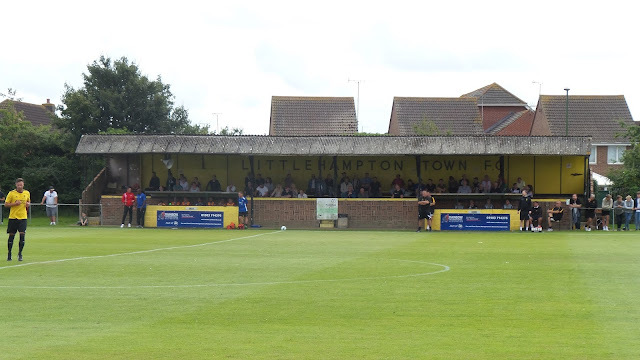 Once the league became a two-tier structure, there were a few more runners-up spots before Littlehampton eventually lifted the league title in 1991, in what was, at the time, a step 4 league. They've spent most of their history in the top tier of the Sussex League, though in in the 90's and 200's they spent a number of seasons in the second tier. Their worst finish in that division came in 1996 when they finished 15th. Since returning in 2013, results have been mixed. They were champions for the second time in 2013, but have had two lower- half finishes in the last two seasons, since the league has been renamed. The 1990-91 season was a momentous season. 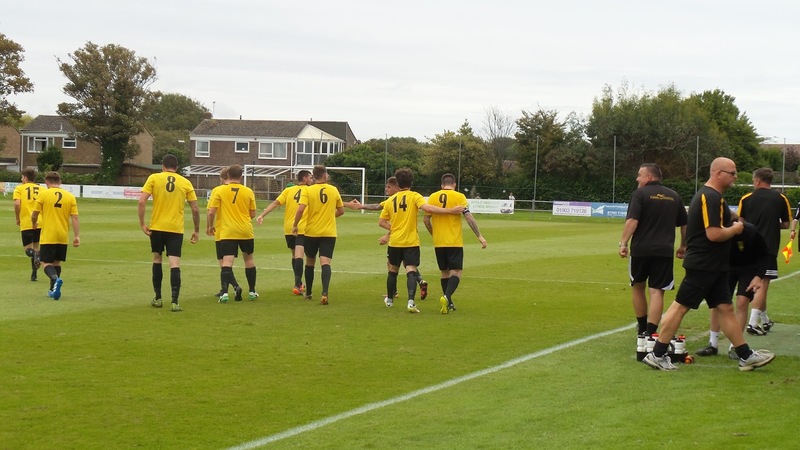 As well as the league win and the record FA Cup run (see below) there was also a run to the FA Vase semi-final. 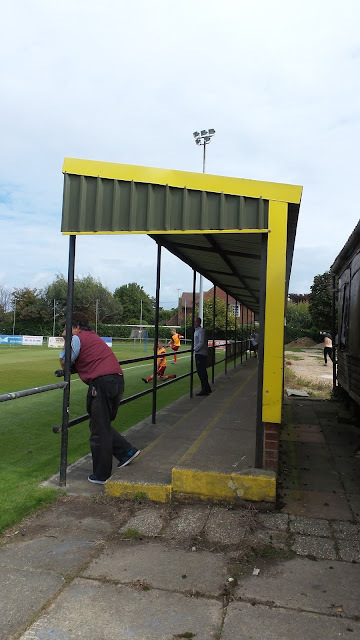 After an entertaining 3-3 draw at Corinthian Casuals in the Preliminary Round, they won the replay 7-2 on their own patch. 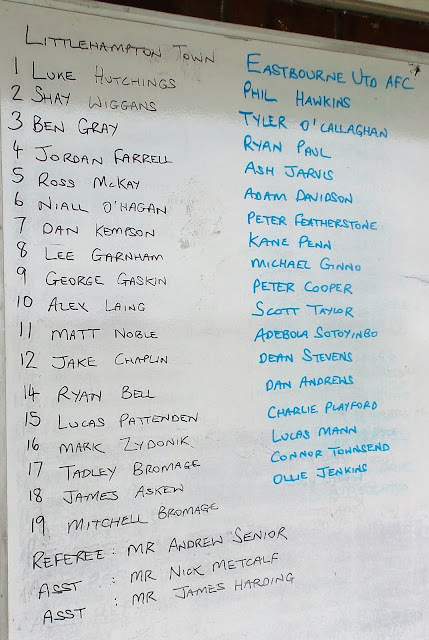 A comprehensive 5-0 hammering of Godalming Town followed in the 1st Round, before a 2-0 defeat of Abingdon Town. The third round brought another home tie as they defeated Erith-based side Slade Green 5-0. 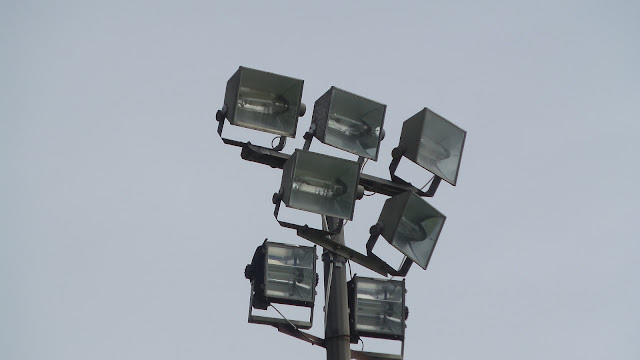 They'd have to travel at last, but a 1-0 win at current Conference side Eastleigh was earned in the 4th Round. They returned to home ground in the Quarter Final, narrowly beating Great Harwood Town 2-1. 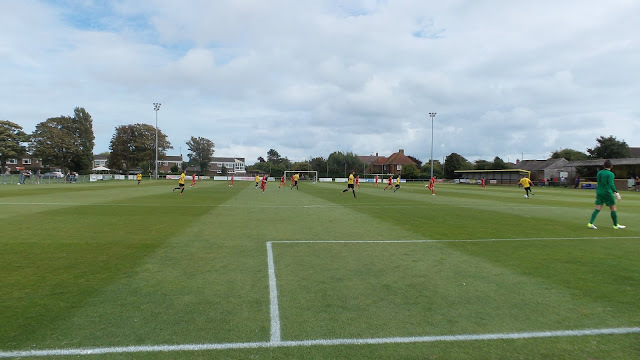 They lost in the semi-final 5-2 to eventual winners Gresley over two legs. Locally, Littlehampton Town has won the Sussex Royal Ulster Rifles Cup on 4 occasions, the last win coming in 1984. 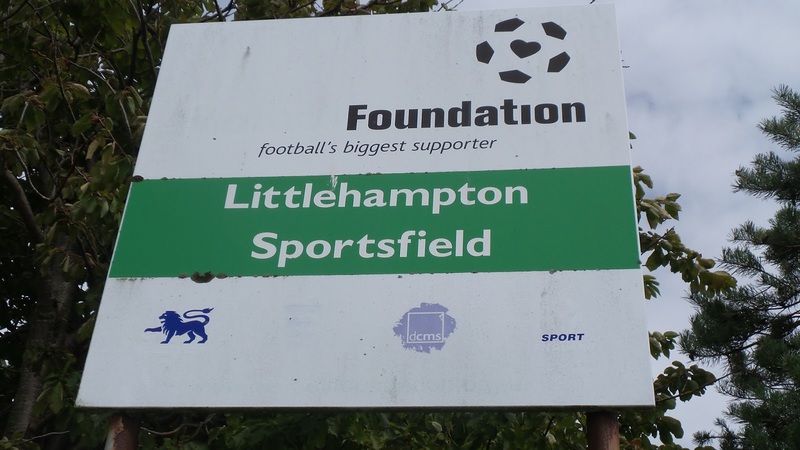 Famous people that hail from Littlehampton include comedian and performer Ronnie Barker, Brentford footballer and Wycombe manager Paul Bence as well as Body Shop founder Anita Roddick. The club's best-ever run in the FA Cup came in the 1990-91 season. Chipstead, Dulwich Hamlet, Tooting & Mitcham, Tonbridge and Romsey Town were beaten prior to a 4-0 defeat to Northampton Town in the 1st Round. Their record win came in 1948 when they beat Southwick 7-2 in a Preliminary Round game. The worst defeat came in 2014 as they crashed 10-0 at Maidstone in a 1st Qualifying Round game. Other than their epic run, they've reached the 4th Qualifying Round - losing to Dover in 1960 and Margate in 1969. 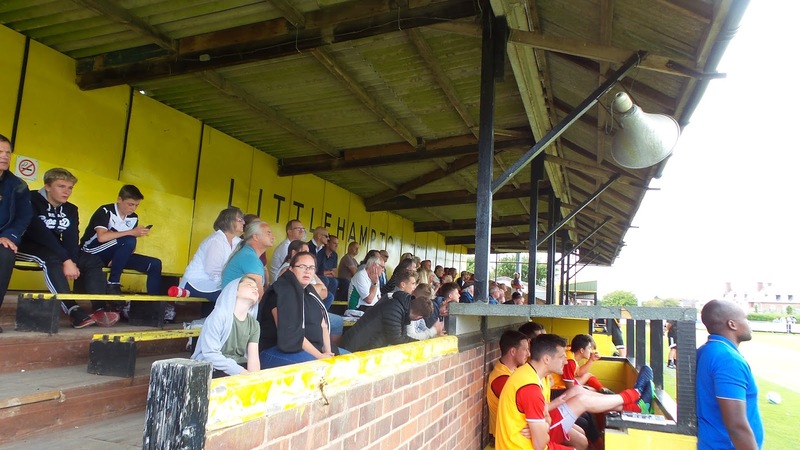 There have been four games between the two sides prior to today's game and it contained a 6-1 for Littlehampton Town, their record win in the FA Cup. With the club being formed as a result of a merger in 2004, their best run has been to the 1st Qualifying Round - losing to Folkestone Invicta in 2013, Hook Norton in 2015 and Highworth Town in 2016. Their record win has been 4-1 - achieved with a victory over Lordswood in a 2013 Extra Preliminary Round game and a 2015 Preliminary Round replay against Arundel. The worst defeat came in a 2010 Extra Preliminary Round tie at Hassocks, where they lost 7-1. I'd first considered this match the previous week. I'd known that if Littlehampton won, the game would be played on Sunday. So when they had their Extra Preliminary Round replay game (postponed a week due to bad weather) on Wednesday, I was keeping an eye on it, whilst I was out for my brother's birthday meal. 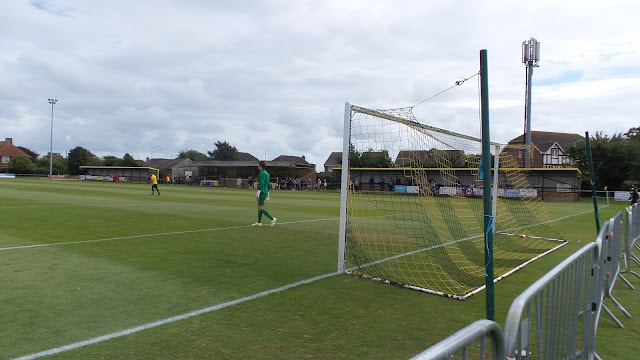 Happily, Littlehampton won through, giving my only new ground out of all the FA Cup ties available to me. On the previous Saturday, Wycombe had put in a woeful performance, losing 4-2 to Notts County at home. There was double disappointment as the day's results failed to throw up a viable replay, what with me going to Crystal Palace on Tuesday. So at 7 PM on the night before the game, I confirmed my attendance. I researched all my facts with a few ciders whilst watching Whatever Happened To The Likely Lads, before grabbing a fairly early night around 10 PM. On the day of the game I was working and it was a bit busier than usual for a Sunday. At least the repulsive cockroach of a supervisor that I don't like was not present. I was also disappointed that there was no non-league paper, in fact, the same was the case for the Football League paper and the Cricket paper. I had a break and got changed before leaving at 11.45. My pre-match plans suffered some curtailment again, what with 40 minutes delay on the ever-pathetic M25. I then had the frustration of slow roads through Dorking & Horsham. It soon got better and there were even some nice views on the A259 near Rustington, though it was the sort of the road you want to be empty so you can put your foot down as you can see for miles around. 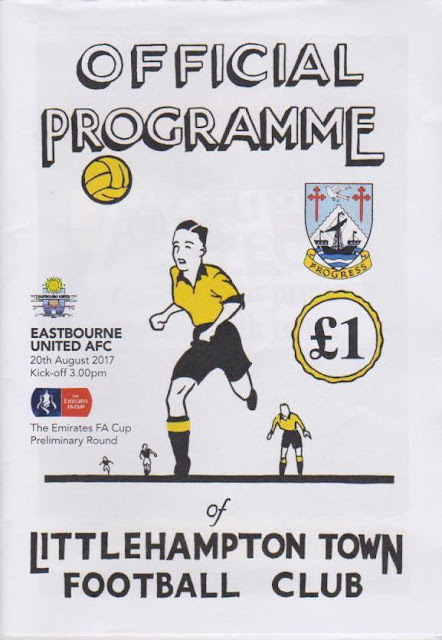 I got to the ground around 2 and not wanting to miss out on a programme, went and purchased one before I did anything else. 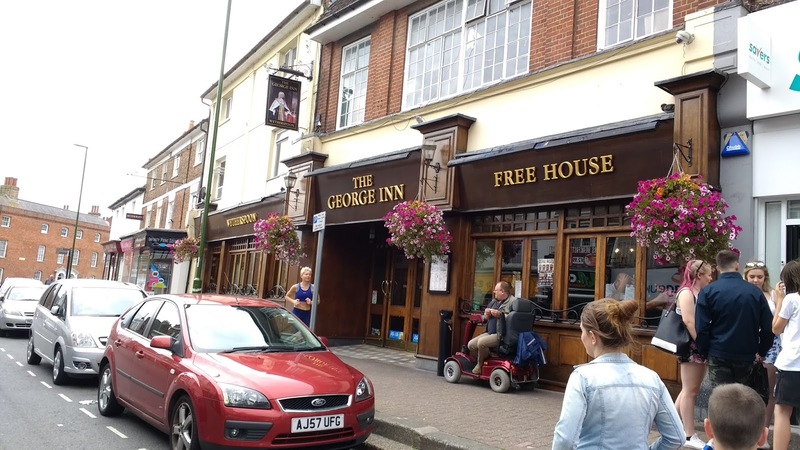 I then made my way into town, walking 15 minutes to The George Inn, the town's Wetherspoons. Time was tight, so I got my order in quick, having steak, egg and chips with a bottle of Hazy Hog cider. Normally, Wetherspoons steaks are not that great, but on this occasion, it was above average and cooked rare, just like I like it. I then went to Iceland to get a bottle of Irn Bru Extra. My fruitless search for The Non-League Paper as WH Smith was surprisingly closed on Sunday. After putting my stuff in the car, going into the ground bang on 3 pm and paying the fairly standard £6 for entry. There were chances for both sides in the first half which was fairly open. 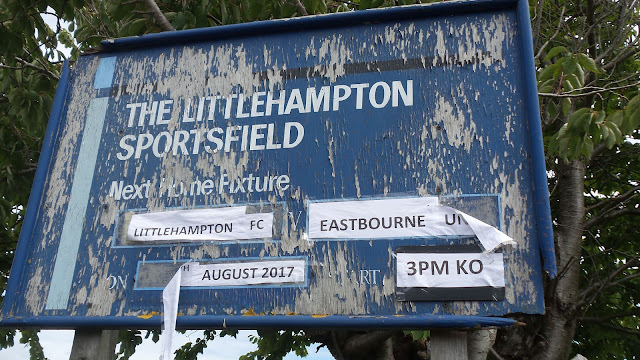 Eastbourne United shaded it and they took the lead just before half time. Their bench and players had been fairly vocal throughout the first half, but the goal that they scored was worth shouting about. 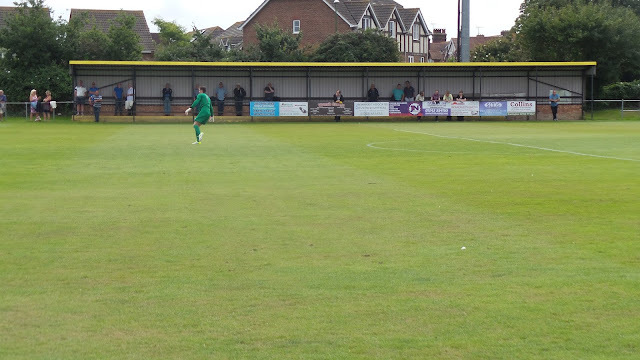 Ademola Sotoyingo capped a mazy run with a curling shot into the bottom right-hand corner. I had a decent portion of chips at halftime for £1.50 before taking my place on one of the covered terraces as it has started to drizzle. The tie looked to be going Eastbourne United's way on 54 minutes when poor marking left Tyler O'Callaghan free to double the visitors lead. But this is the FA Cup and soon the greatest cup competition in the world was working its magic once more. Eastbourne United keeper Phil Hawkins spilled a high ball and George Gaskin was there to bundle home the loose ball on 62 minutes. Two minutes later it was all square after Lee Garnham headed home from a free kick. This really turned the balance of play around and the hosts were now piling on the pressure. They'd hit the woodwork three times already before they got the winner, with Eastbourne restricted to chances on the break. It was a goal good enough to win any game when Ben Gray's excellent 25 yards flew into the top corner. 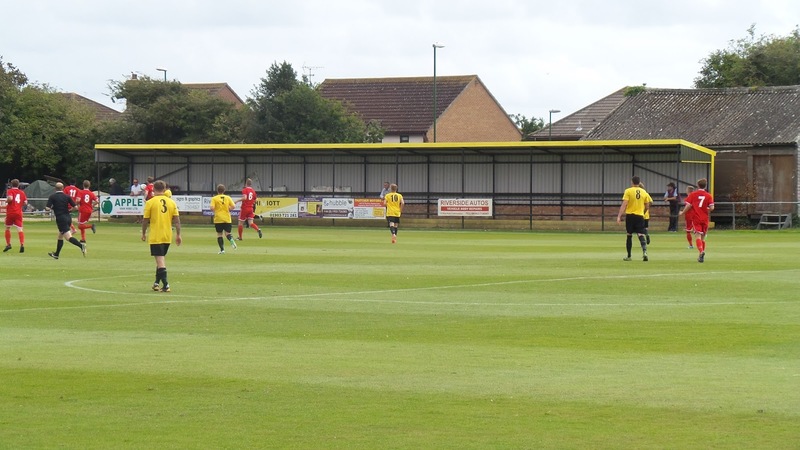 The hosts had the chance to seal the game but visiting keeper Hawkins made another great save to deny the striker. The game finished quite late and with walking back to the car, I didn't get away until 5.05 once I'd set up my Sat Nav. I stopped at the CoOp in Angmering on the way back, knowing that they normally have the Non-League and that they also often have a local cider in stock. The first drew a blank, I gather due to distribution issues, They did have a local cider though, one called Eden Apple cider, so picked up 4 small cans for a rather pricey £8. There was another 45 minutes delay on the M25 and so I didn't get home until 7.30. For the second time that day, I had steak, though after not having it for ages and it being one of my favourite meals, I wasn't complaining. With it, I had a couple of the cans of the cider I had bought. I spent the rest of the evening typing some of this blog and watching YouTube videos, before getting into bed around 10. It was another miserable day at work the following day but I felt a bit better after an afternoon sleep and a day off to look forward to on Tuesday. 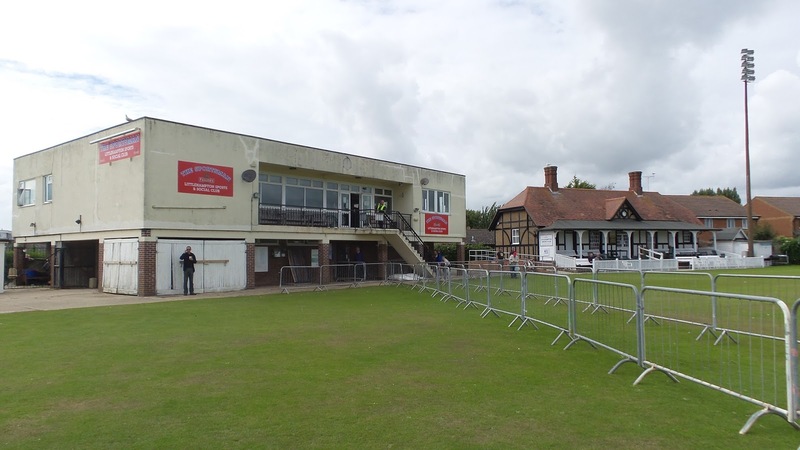 THE SPORTSFIELD is a venue that is shared with cricket, hence this game being moved to the Sunday. It's a very nice and well-kept venue, with all the covered accommodation on one side. 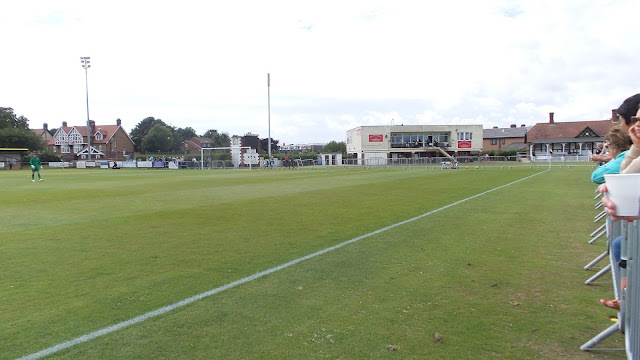 There are three stands - one older seated one, flanked by two more modern covered terraces. Each holds around 200 fans. 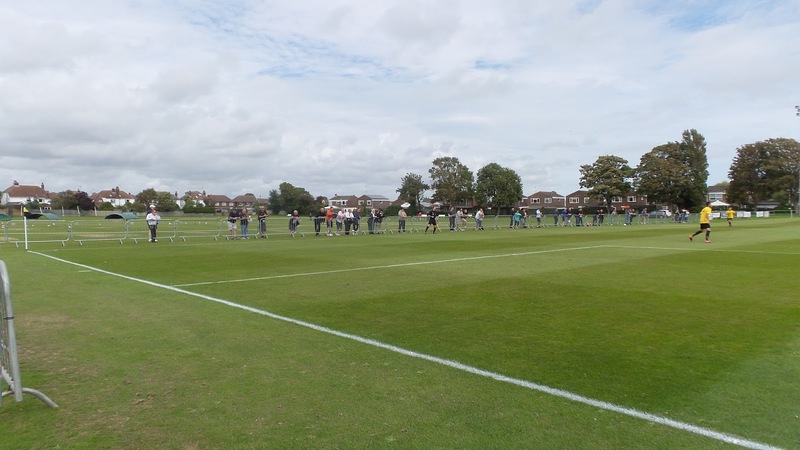 Only half of the pitch has a permanent barrier - there's quite a lot of work involved to get the temporary barriers up for the other half of the pitch, plus the area from the dressing room. I'm not sure if that's what is preventing them from making the move to step 4, but if so, that's ludicrous, as the ground is more than good enough. 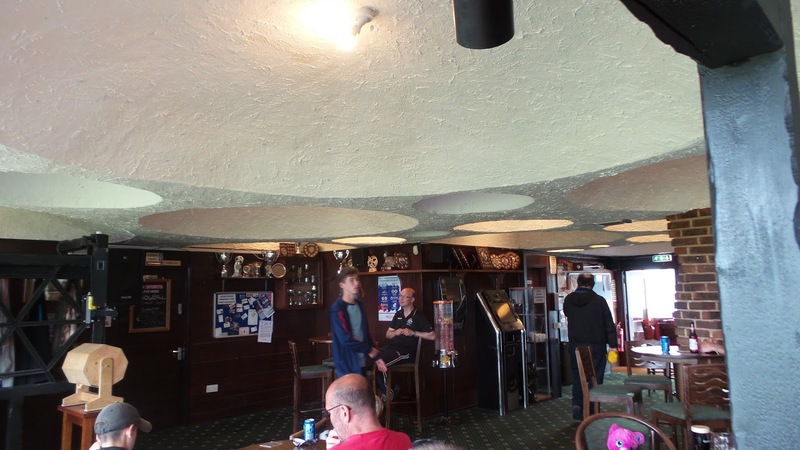 The bar is OK. a standard range of drinks, plus a real ale and also TV Sports. 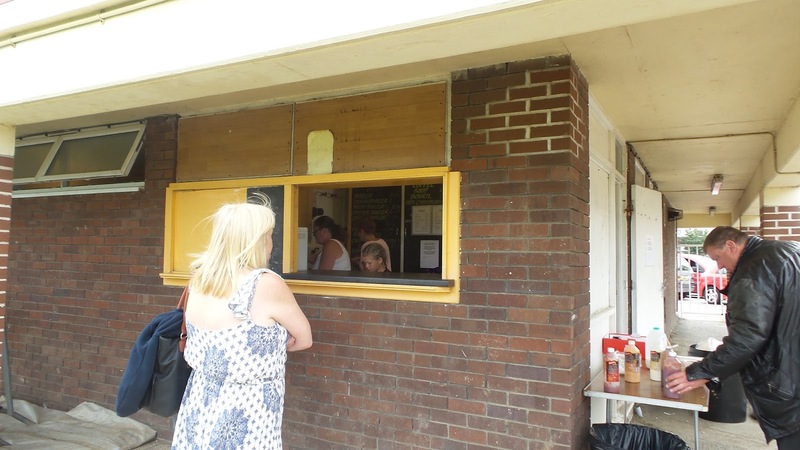 The tea bar is very good, a wide range of food at decent prices, all well cooked too. 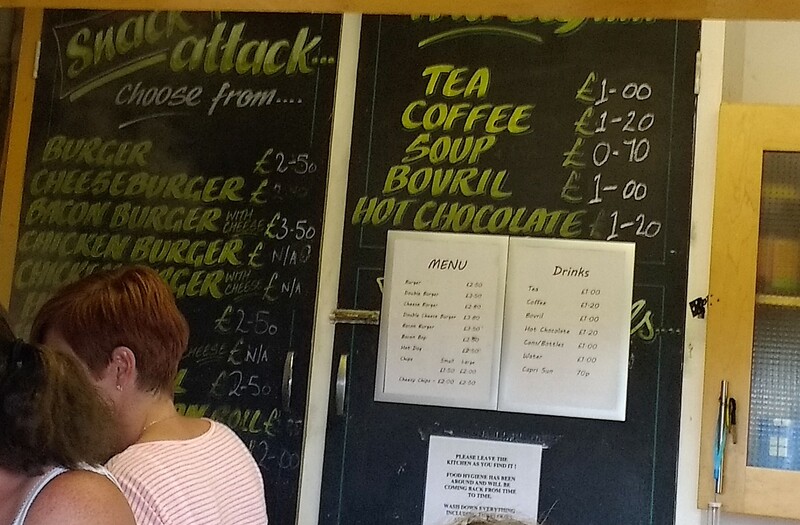 The town is a 10-15 minute walk away and has a fairly average Wetherspoons as well as various other outlets.